Chad called me mad as hell today, and he NEVER gets angry. Chad is the smoothest sailor there is. What happened is he was just cruising on the street with his bae and a police officer stopped him. He politely answered the officer’s questions to finally get a piece of paper handed to him. A fine. 367$. 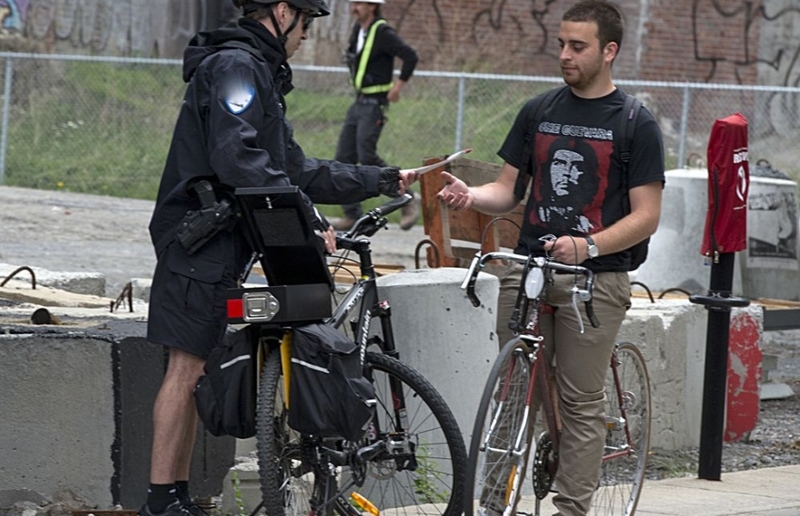 “Surely you’ve heard of the new law that was implemented, and now you’re just trying to provoke us, we take that very seriously” said officer Tremblay, as she handed him the fine. A few minutes scrolling through your newsfeed should confirm the rumors. Massive amounts of people are getting fined for wearing the now-forbidden shirt. Rumors of a raid at Tam-Tam Sundays on MT RYL are now circulating. Keep it in the closet, commies. Update: Rumors have also circulated that aviator sunglasses would now be forbidden too. Chad is FURIOUS.